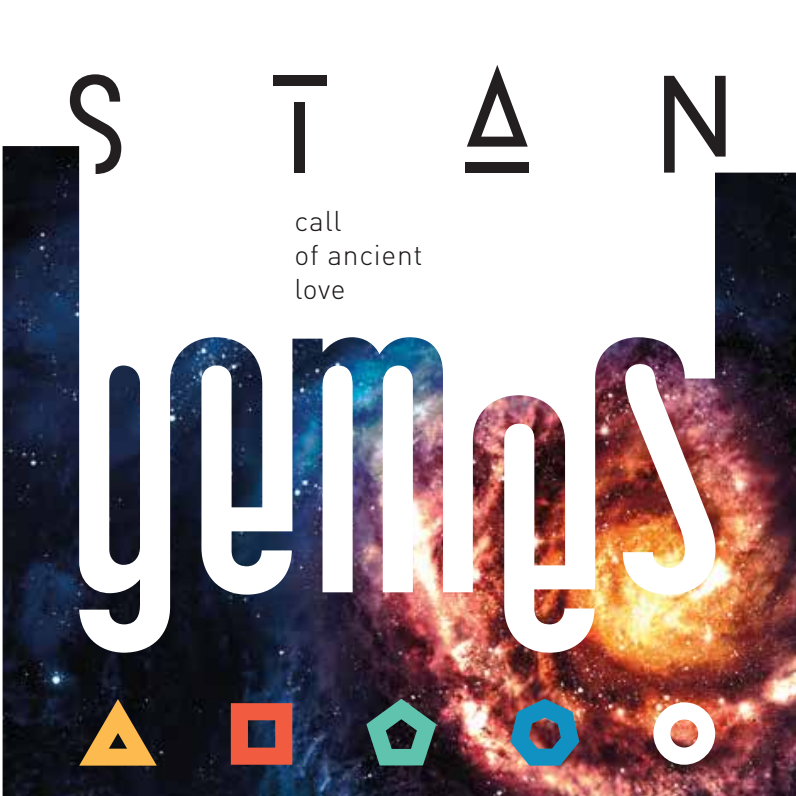 Stan Gemes’ new album is something rather different to the senses – quite literally. Unusually – given the current trend to remove physical packaging entirely with albums fully downloadable (complete with covers, lyrics and various other digital files) – his album ‘Call of Ancient Love’ is designed to be best enjoyed through the physical. 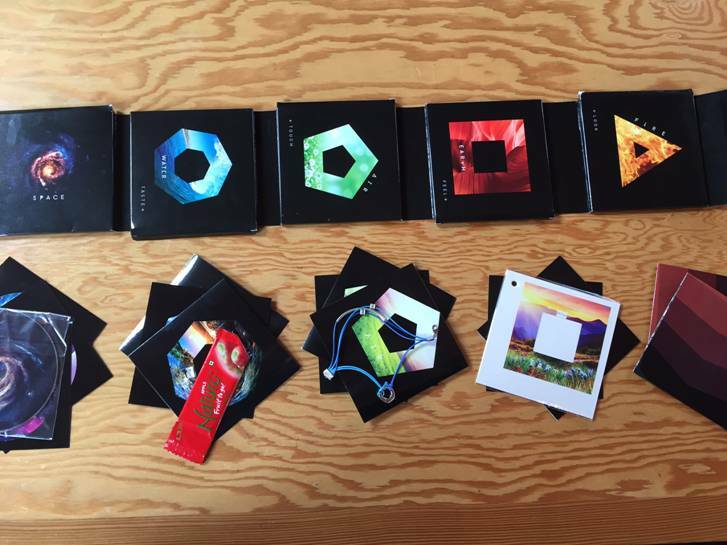 Although you can listen to it online, the intention is you buy the box set. What you get is a box set which looks, from the design, like you’re about to get a 5-disc compilation. You don’t. You get one disc and a whole range of other goodies. In keeping with the eclectic and holistic themes of the concept, each section represents a different element (Earth, Air, Fire etc.) and a different sensation (touch, look, taste etc.). In my copy the packaging isn’t perfect – Touch and Feel seem much the same to me and back of the package says Smell instead of Touch – but nonetheless, the idea is great. In each box section you receive ‘goodies’ in keeping with the senses. I loved the one for Touch which was a very nice bracelet and the one for Taste which included a mango bar (which was tasty!). But we’re here for the music so let me tell you a little about some of the 11 tracks on the CD. The album begins with ‘Ancient Love Longing’ in a quasi-movie style with lush strings and Asian-sounding flute setting a quite grandiose beginning which is really very beautiful and exciting. Then the piano kicks in and suddenly I’m back on an Emirates flight or some similar long distance flight to Asia and I’m listening to the easy listening stuff they love to put on to calm and relax passengers. It could come over as cheesy but for me this is great stuff. I actually like this track best out of all of them. I feel the album dips a bit after that. ‘That Love in All’ is a little too cheesy and annoyingly very much an earworm (takes a long while to get the tune out of your head) and ‘Lions’ reminds me a little too much of the current trendy Christian worship music which is popular in evangelical circles. But then Gemes’ love of ethnic and world comes back in beautifully with tracks ‘Brilliant Mind’ and ‘Dance of Angels’. The former reminds me that I do have another criticism which is that with so many non-English influences – especially Asian – it would have been nice to have a lyric sheet with the words translated where necessary. It’s a shame to not really know what is being sung. I loved the Irish jig nature of ‘Dance of Angels’ though. The alternation between moody gentleness and excited dancing (indeed the performers all do that famous and obligatory River Dance style leg work when this is performed on stage if Stan Gemes’ YouTube video is to be believed) really works a treat. Overall, this is a very lovely album which those who like something spiritual and largely chillout will enjoy. The mix of styles from around the world is a gentle one and there’s nothing – not even the Mongolian-inspired chanting – which should make anyone wince. It won’t be to everyone’s taste but if you’re the kind of person that likes going to a concert where at the end everyone is crying and hugging each other and swapping phone numbers to be friends forever – then this is the album for you.